Bins on Demand offers professional and friendly services for bin rentals in St. John’s, Conception Bay South, Mount Pearl and surrounding areas. Renting a bin from Bins on Demand is an easy, hassle free way to dispose of your renovation waste or unwanted items. This may include construction debris, old furniture or appliances, old flooring, yard waste or any other material or “junk” you may have accumulated from general property clean up or maintenance. We deliver your bin and protect your driveway. We pickup your bin and sweep your driveway. 9 ft. x 6 ft. x 2 ft.
9 ft. x 7 ft. x 4 ft.
11 ft. x 8 ft. x 4.5 ft.
12 ft. x 8 ft. x 6 ft. 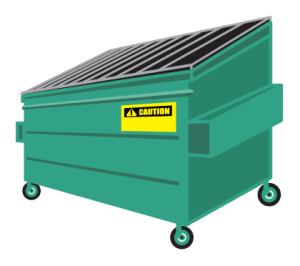 If you’re not certain which size bin you will require, we can help determine the correct size that will best suit your needs. 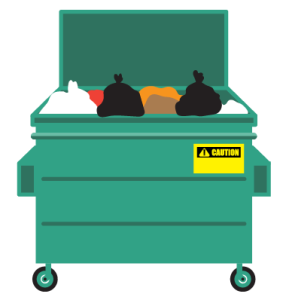 We deliver the bin to your property – all you have to do it fill it. The bins are designed for effortless loading, with both rear doors opening for easy access. When the bin has been loaded give us a call and on of our friendly, trained drivers will come and remove it. Your bin rental includes driveway protection which is 100% guaranteed and a final sweep by our drove to remove debris. © Copyright Bin on Demand All Rights Reserved.